Clean feels good: Simply roll the strip to remove pet hair, dust and debris. Extra pick-up power for a more efficient clean without damage. Pocket Size is great for travel: Roll your clothes on the way out, touch-up before a meeting, or remove unwanted pet hair. Perfect for keeping your suit looking smart, clean and fantastic. 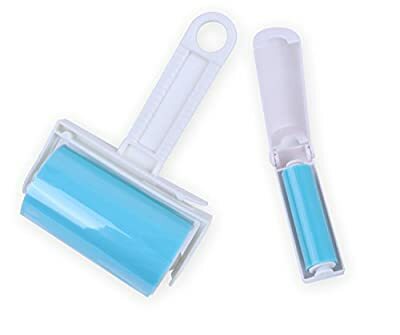 Long lasting: It is easy to clean your sticky roller with soap and water. Let it completely dry and it is again very sticky and ready to be reused. Works on Multiple Surfaces: Easily keep your carpets, rugs, sofa covers, and clothes absolutely free from your pet's hair. It's also can be used to clean furniture, comforters, clothing, floors, and even the upholstery of your vehicle. 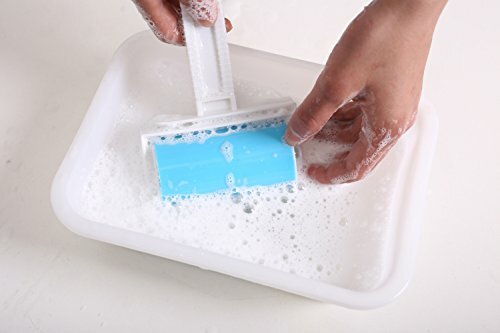 2 Set perfect cleaning system for all your household needs. It has the power of glue and removes cat hair, dog hair, crumbs, and more within just a few minutes. It's perfectly safe to use on all different types of fabrics and can be used to clean furniture, comforters, clothing, floors, spills and even the upholstery of your ehicle. Requires No Refills- Refresh with light soap and water. 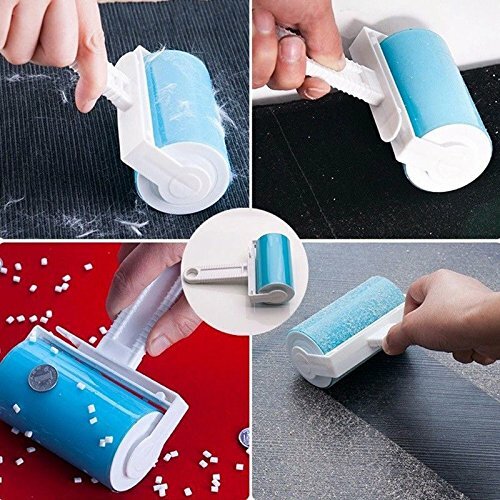 Reusable roller for less environmental waste.